Gas prices in Kahului and Wailuku were $3.55 for a gallon of regular, which is unchanged from the week before, 11 cents lower than last month and 38 cents lower than a year ago. 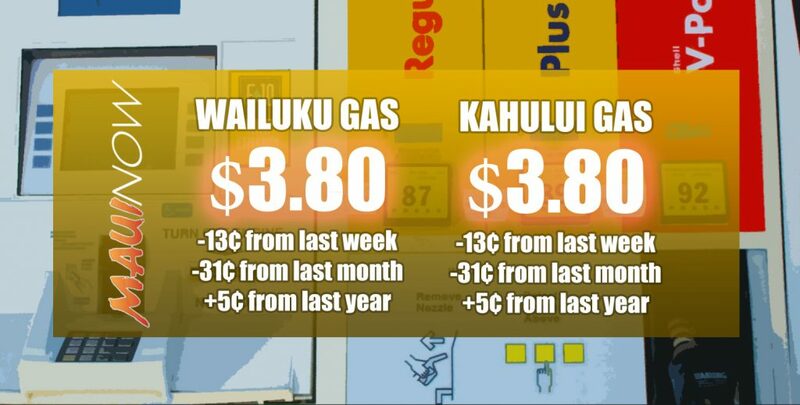 The statewide average price on Thursday was $3.27 a gallon, which is one cent higher than the week before, one cent higher than a month ago and 18 cents less than a year ago, according to the AAA Hawaiʻi Weekend Gas Watch. In Honolulu, Thursday’s average price for regular was $3.10, which is unchanged from week before levels, the same price as a month ago and 18 cents lower than last year. 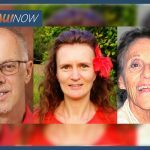 The Hilo average price was $3.35, up three cents from the week before, seven cents more than last month and 10 cents lower than a year ago. Līhue’s average price for regular was $3.49, which was down a penny since the week before, four cents lower than last month and 12 cents lower than a year ago.